My white father and Black mother both encouraged me to be Black, to embrace Black, both as a label and as a way of being part of the world. To claim the Black community as my own. To them this was an act of resistance against a society that would devalue Black people and Blackness as a concept. But it was also an act of love for me, a gift to be part of this incredible community that fuels phenomenal intellectual and artistic culture all over the world. In 2009, when Raquel Cepeda almost lost her estranged father to heart disease, she was terrified she’d never know the truth about her ancestry. Every time she looked in the mirror, Cepeda saw a mystery—a tapestry of races and ethnicities that came together in an ambiguous mix. With time running out, she decided to embark on an archaeological dig of sorts by using the science of ancestral DNA testing to excavate everything she could about her genetic history. Digging through memories long buried, she embarks upon a journey not only into her ancestry but also into her own history. Born in Harlem to Dominican parents, she was sent to live with her maternal grandparents in the Paraíso (Paradise) district in Santo Domingo while still a baby. It proved to be an idyllic reprieve in her otherwise fraught childhood. Paraíso came to mean family, home, belonging. When Cepeda returned to the US, she discovered her family constellation had changed. Her mother had a new, abusive boyfriend, who relocated the family to San Francisco. When that relationship fell apart, Cepeda found herself back in New York City with her father and European stepmother: attending tennis lessons and Catholic schools; fighting vicious battles wih her father, who discouraged her from expressing the Dominican part of her hyphenated identity; and immersed in the ’80s hip-hop culture of uptown Manhattan. It was in these streets, through the prism of hip-hop and the sometimes loving embrace of her community, that Cepeda constructed her own identity. 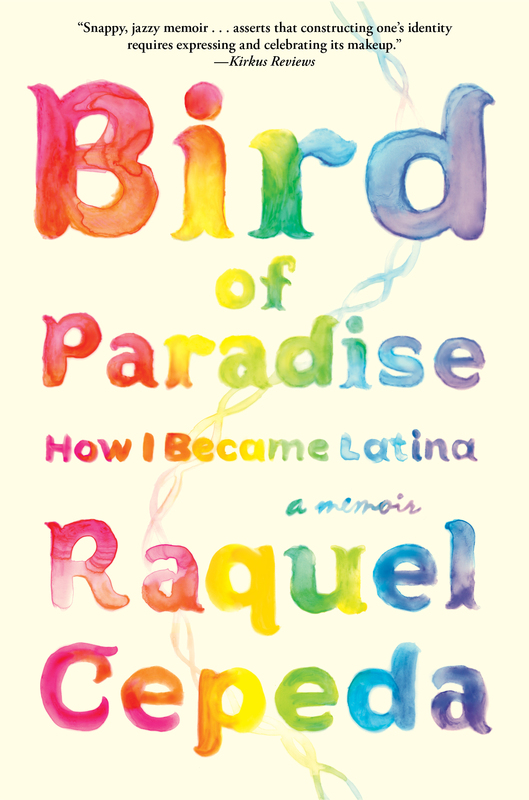 This entry was posted	on Tuesday, November 3rd, 2015 at 21:01Z	and is filed under Autobiography, Books, Latino Studies, Media Archive, Monographs. You can follow any responses to this entry through the RSS 2.0 feed. Both comments and pings are currently closed.